Early bird tickets have been released for the Snowflakes in Stanthorpe Winter Festival being held on from 5 to Sunday 7 July 2019. Are you dreaming of your next Queensland holiday? Swimming at the beach? Roaming a theme park? Hugging a snowman? Wait – a snowman – in Queensland? Absolutely, and ‘snow much more’. Early-bird tickets a $65 family weekend deal as the ‘hot-ticket’ of this wonderful winter festival. It’s a family-friendly celebration that perfectly complements the high altitude, cool climate that Stanthorpe is so famous for. 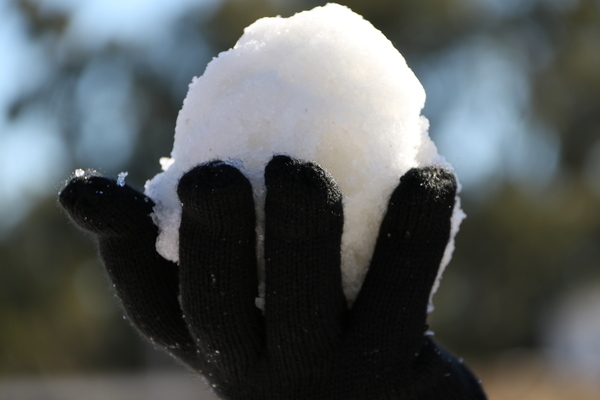 More than 12,000 beanie-wearing visitors flock to the huge outdoor snowfield at the Stanthorpe Showgrounds to throw snowballs and build snowmen. Visitors are warmly welcomed with typical country hospitality to take part in three full days of activities. Markets, entertainment, local produce, ice skating, snow globes, sled dogs, igloo making – this festival is a feast of the senses for all ages. “Snowflakes in Stanthorpe has grown beyond all expectations” said media co-ordinator Robyn Henderson. “Our town loves being in the spotlight when it comes to temperature. “In 2018 we built the Big Thermometer on Quart Pot Creek to cement our fame as the coldest place in Queensland. “Our community spirit, our produce, and our climate, have come together to create an iconic event that showcases the best of the Granite Belt and its surrounds. “Events like these bring significant cultural and economic benefits to our region. Snowflakes in Stanthorpe president Trace Gosney said this year there will be “more of everything”. “More snow, more snow globes, more activities, more entertainment,” Trace said.